Nintendo used to have Mario geared up to kill space aliens with a jetpack and laser rifle. The Super Mario Bros. development secrets apparently go way deeper than Mario only being able to shoot bullets. The Super Mario All Stars Collection for the Wii that is out in Japan, coming to Europe, and hopefully will be released in North America contains a booklet that goes in-depth on the abilities Shigeru Miyamoto once wanted for his plumbing and princess-saving creation. No, Mario wasn't ever equipped with a plunger or drain snake. That'd just be weird. Instead, original design documents and sketches in the booklet reveal that "Creative Division Head Miyamoto" wanted Mario to be able to fly around and use various combat methods to truly kick the crap out of Koopa Troopas and Goombas. In Super Mario Bros., and even today, Mario's main form of attack is the jump. Back in the concepts of 1985, he could also do some hand-to-hand combat, with the documents showing that Miyamoto wanted Mario to punch and kick. Further, they also include that Mario used to wield a rifle and a "beam gun." Those would have made getting to 8-4 a lot easier. In addition, Mario's jump was more futuristic, as he was meant to be able to pick up a jetpack. The documents describe Mario jumping into the air and then accelerating left and right using a rocket booster. Mario: the original space marine. Super Mario Bros. is perfect for what it is, but I would have loved to see the alternate take with Mario beating and shooting the hell out of everything. 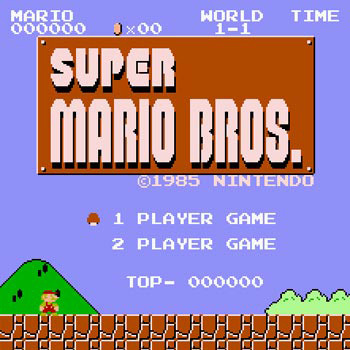 It was almost Mario's lack of abilities that made the game what it was, so if Super Mario Bros. had become a shooter who knows if it would have been popular enough for the series to exist until the end of time, as it no doubt will.